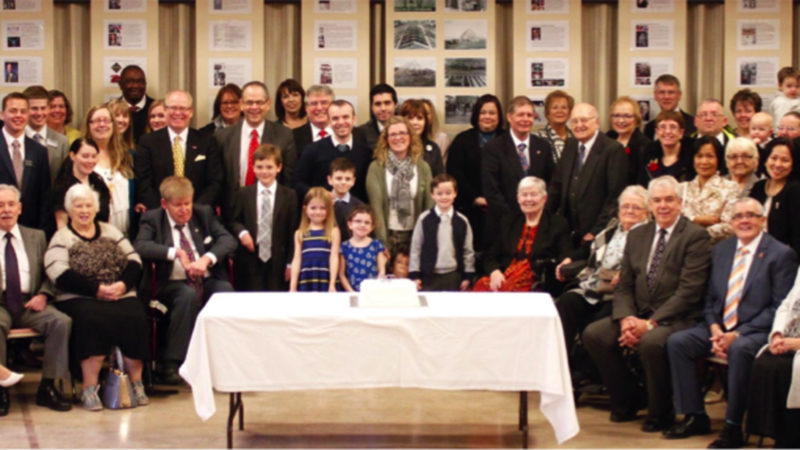 The Foyle Ward of the Belfast Northern Ireland Stake on the Racecourse Road in Londonderry celebrated the 50th anniversary of its dedication on Sunday 6 November 2016. It was exactly 50 years to the day, when in 1966, it became the first Latter Day Saint chapel dedicated in Ireland. The ground was broken in 1962 by Sandra Covey, wife of the then Ireland Mission President, Stephen Covey. Although other LDS meetinghouses, in Ireland, had finished construction ahead of the Londonderry building, the Foyle Chapel was dedicated first. Guests at a one-hour commemoration service included the Deputy Mayor of Derry & Strabane District Council, Jim McKeever, Martina Anderson, Member of European Parliament, and Jim and Dessie O'Neill, principals of O'Neill Bros (main building contractors for both the original construction in 1966 and the refurbishment in 2001). In addition, a 25-minute video outlining basic Church beliefs and the history of the Church in the Foyle area was launched. “When we started this, we didn’t know very much about the early days of the Church in this area” reflected Bishop Tom McElhinney. “The earliest record we now have is of a Robert Frazier presiding in 1851 and of a hitherto unknown ancestor of my own, Rebecca Hammond from Newtown Cunningham. She joined the Church with her family on 1 December 1851 following the untimely death of her husband Thomas McElhinney and young son. Following some very difficult years, she eventually emigrated in 1862, remarried and was eventually laid to rest in Salt Lake City. Further, we found a Robert Baird, born in the city on 15 May 1815, who was with Brigham Young when he and his party first entered the Salt Lake Valley in 1847.' These and other precious little vignettes are incorporated into the celebration DVD.